Ready, Set, Grow! This starter kit is the best place to begin learning about the virtues. Education in Virtue tote to keep materials organized and accessible. The starter kit gives you the necessary teacher and student materials to begin implementing Education in Virtue®. 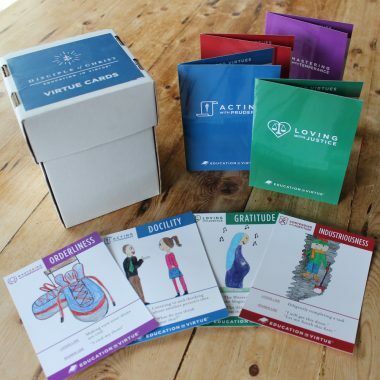 The Starter Kit includes an Educator’s Guide, Virtue Chart Pack and color-coded Virtue Cards and Saint Card. This kit is perfect for use in parish catechesis, schools or at home. 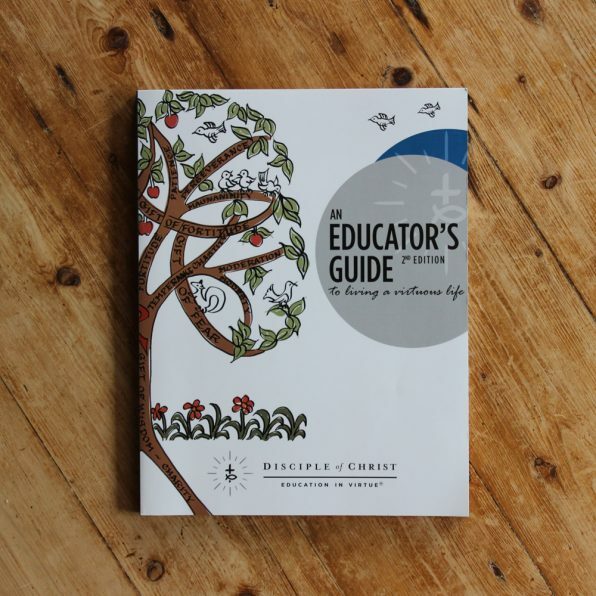 The Starter Kit Includes: 1 Educator’s Guide, 1 Life of Christ, 1 Virtue Chart Pack, 1 Small Virtue Cards Set (272 cards), 1 Saint Cards Set (35 cards), 1 Tote Bag. **not eligible for parish/school discount.